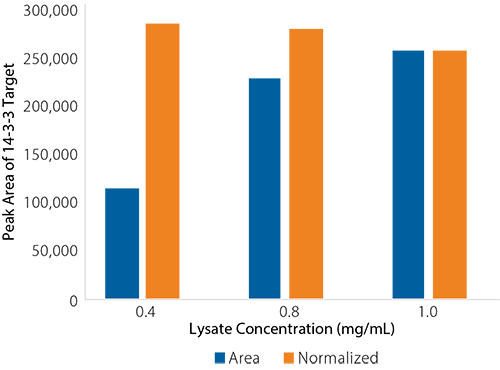 Planning on publishing your research findings? Then you know scientific journals and peer reviewers need to see some type of total protein characterization that validates your data. They're also asking scientists to move away from housekeeping proteins (HKP) because their expressions are inconsistent and unreliable. That's where protein normalization (PN) assays on Jess come in. They give you a more consistent, robust way to determine protein content. 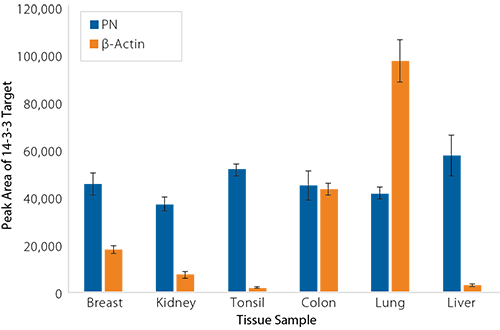 Comparative total protein data and the expression of the housekeeping protein β-actin in six human whole tissue lysates loaded on an equal protein basis (0.3 mg/mL). Gel-free, blot-free, hands-free Simple Westerns™ let you separate and analyze proteins by size from 2–440 kDa either by immunoassay or total protein analysis. You'll get quantitative results, reproducibility that's spot on, and use less sample in the process. Experimental prep only takes 30 minutes—just load your samples and reagents into our microplate. Jess handles the rest: antibody additions, incubations, washes, immunodetection and analysis. Fully analyzed results are ready in 3 hours. 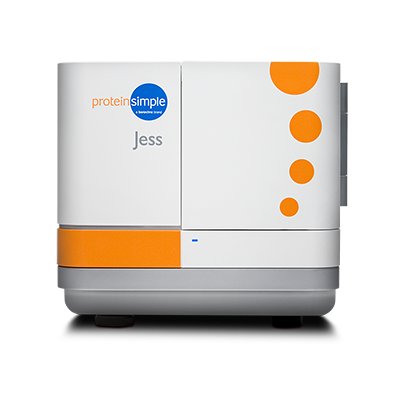 With Jess, you can run PN assays with the immunoassays you'd already be doing. It's just one extra reagent to mix, and one extra row to pipette on the plate. Jess needs an extra 30 minutes to run the PN assay for you, but once she's done you'll have all the data you need. Compass software gives you all the processing tools you need for protein analysis and normalization. Once the assays are done, no need to export the data for analysis. Jess' Compass software analyzes the data for you. It also transforms your raw data into normalized data automatically. 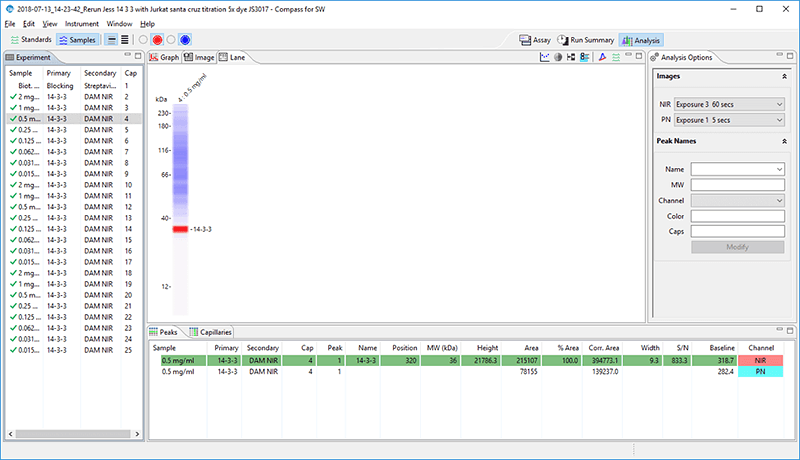 Compass lets you look at all your data with a single click: traditional lane view, quantitated total protein values or relative differences to your reference point. Lane view of protein normalization on Jess in Compass for Simple Western Software. 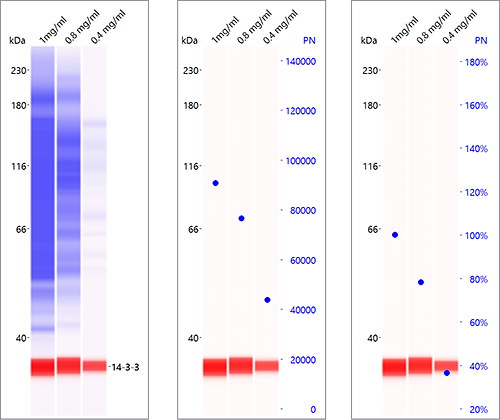 Shown are three options for visualization: the traditional total protein "membrane stain" (left); dot overlay of the raw total protein area measured in each "lane" (middle); dot overlay of the normalized percent total protein area measured relative to the chosen reference "lane" or capillary (right), in this case the 1 mg/mL sample. Compass export options let you pick multiple formats to process your data using external programs like Microsoft© Excel©, Spotfire, JMP and others. 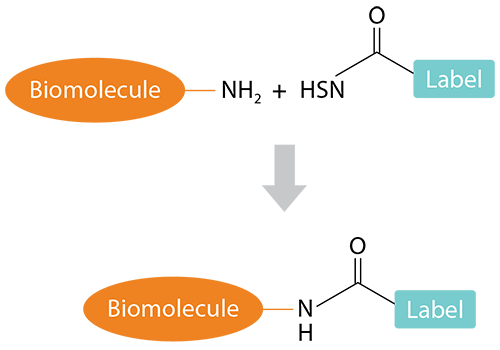 Comparative data showing 14-3-3 gamma protein expression (blue) and the normalized counterpart (orange) in various concentrations of Jurkat cell lysate. 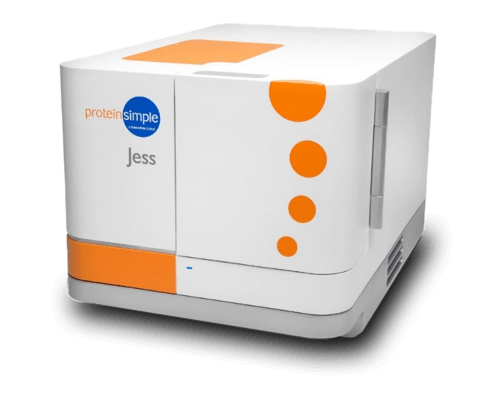 Download our Tech Note to learn more about protein normalization on Jess. Did you know she also gives you four different ways to analyze proteins—simultaneously? Fluorescence detection with multiplexing gives you all the info you need in one shot—no stripping and reprobing. Chemiluminescence detection for the picogram-level sensitivity you need on those low abundance proteins and precious samples. Protein normalization lets you see if your samples contain a consistent protein load. Blot imaging whenever you want to run a traditional chemiluminescent Westerns. Once the assays are done, Compass transforms your raw data into normalized data automatically. Look at PN data on the fly—lane view, quantitated total protein values or relative differences to your reference point—all with a single click. You can process PN data in external programs like Microsoft© Excel©, Spotfire, JMP and others. Just export data the same way you do now.